Going to end up as my favorite 2018 drama if it keeps going. I wish ZLY a healthy pregnancy <3333 Rumor is that she is having a boy. Firstly, think she has done a very good job in Ogt. Without her, i don't think the drama will be successful. The drama occupied the first on tencent & iqiyi, surpassing other dramas by far. Secondly, she was taken advantage by other actress to shine. The script was butchered to give another actress a lot of view times and thus cut lq's role to quite insignificant. 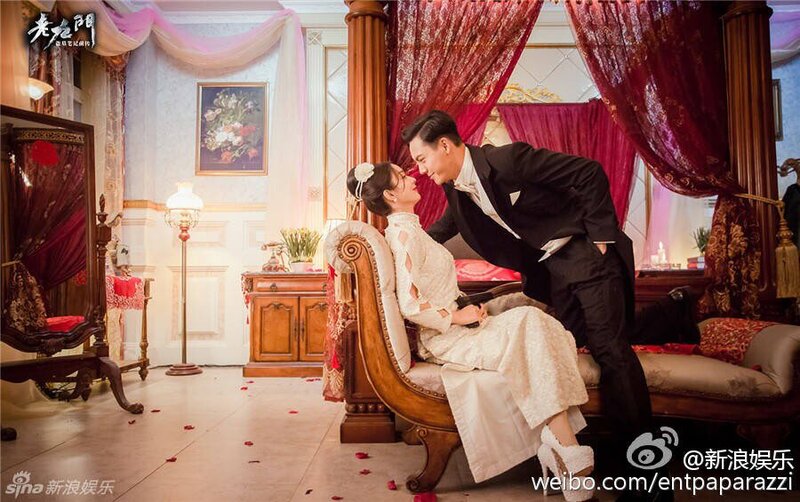 Still zly presevere and remained as a magnet that attracts viewers to this drama. Thirdly, because if in order to add more scene for the so called actress, zly's scene has to be redo, ended up she has to add more time to the drama and she has to wear an ugly wig for the scene. She was criticised as being unprofessional for cutting her hair during the filming and being late for the production of Minglan. Thirdly, she can't explained or complained as OGT was the project by her manager, huang bin to raise the popularity of jinhao which was under huang bin at the time. She does not even like to star in romance drama. I hope in the future she can star in more quality production like minglan or under noon production and co star with big name quality actor like hu ge, huang xuang or maybe her hubby (if the script is right) . She deserves that. Or maybe another drama with zyl. The will make a cute couple. Same OGT was a let down. I don’t mind other supporting actors to get their limelight it’s just I can’t stand when their scene doesn’t bring anything to the show or it was just pointless. There was too many lovelines. This type of drama I was expecting 35 episodes max. It was interesting in the beginning because I’d like to see them overcome the challenges they faced but then the good guy and bad guys started to become unclear. In short I felt it was all over the place. And it’s no wonder since the drama about actress trying to take up screen time. Agree with OGT. As much as I liked ZLY and I thought she nailed LQ as a character like she always does, the story just got a lil all over the place and suddenly we get everyone else getting screentime at the expense of her's. So I'd tend to agree that it's a let down. But TSOML is really building up nicely. If this continues, its another one of her masterclass series! So I remember when OGT was announced a lot of fireflies were really upset bc the rumor was the Huang Bin was using it to promote his actors and got ZLY stuck with the drama in between filming not letting her rest before Minglan. She was filming like two things at a time with a really hard schedule. Then Jin Han and the other guy wrote on their weibo that they were under ZLY's studio. HOWEVER, after OGT Jin Han removed that from his bio and now that ZLY is not longer with Huang Bin, he is still promoting Jin Han. All of this leads me to believe that the rumor that her fans had at the begining was true. I dont think Jin Han is under her studio but under Huang Bin and that they just said that to avoid her fans making a big deal. I am glad that ZLY left Huang Bin. Anyways, I stopped watching OGT early on bc it just didnt keep my interest. ZLY was super cute but they added so much stuff to the book. What I liked about the book was that it was just about their relationship. A let down because she rarely films modern dramas and I was really looking forward to it. Hopefully, next time she gets a better script. Wow, I hope she will get a better manager soon. Glad that she had two managers... I think he used ZLY for other projects too I forgot what it was... It was business related and nothing about acting... And I don’t know why but I was feeling that it was better she didn’t have stars under her studio as of right now or maybe I’m just not star struck with Jin Han he alright. Same i I stopped watching as soon as I realize Jin Han sister was just there to be a romantic interest and they started introducing all the love lines and ZZZzzzzz lol And it was through that Grace since her introduction has always been in each episodes. He is a good actor just not attractive imo. Right now, she is going to take a break and not jump back to work which I think it is a good thing. As much as I like seeing her dramas, having a baby is hard. I think she worked hard enough to enjoy spending time with her baby at home without rushing back to work. Yes I recalled reading somewhere that somebody let out that another actress was taking a lot of unnecessary screen time. No doubt, she knew that with ZLY name and reputation, people will want to watch it. Once again, someone trying to get a "free ride" on our LY's fame. I have not watch OGT yet as I was more interested in period drama. Congrats Yingbao. She totally deserved it for all her hard work.....Bravo! Tvs Station at china are busy broadcasting all yingbao's drama, OGT, our 10 years, wrong point, female prime minister now.. What's the occasion? even though she still carry an air of cuteness in the drama itself but it was more mature.....and i love how they dress her too....very sophisticated. It was like an OMG moments for me..
P3: oh Gosh, so cute but then i go "ok Mr Feng, stop now, don't need to know what else u can do with your wife for real "